Lines and symbols can tell a story similar to words. An activity like this can also develop print connections (left to right and top to bottom) and small motor skills. Give each child a sheet of paper and explain that their pencil is going to “talk” and tell a story. Demonstrate the symbols as you tell the story so your students can follow along. Challenge the children to retell the story using their symbols. *Use a different color (markers, crayons, or colored pencils) for each symbol. 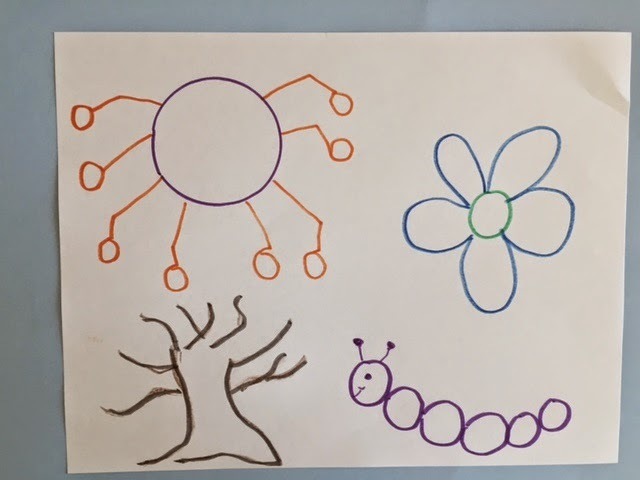 *Can the children make their own story using symbols? What child doesn’t like cartoons? And what child wouldn’t be thrilled to have the opportunity to create their own cartoon? Save your funny papers from the Sunday newspaper and take them to share with your class. (All of them will not be appropriate, so select the ones you think your children will enjoy.) Explain how cartoonists use “bubbles” to let you know what the characters are saying. Tell the children that they will get to draw their own cartoons and they can use bubbles to let their characters talk. 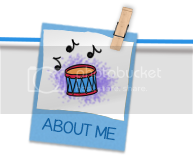 Attached are cartoon frames with 2, 3, and 4 sections. Start off by giving them copies of the cartoon frame with 2 sections. Tell them to think of a story that has a beginning and an end and draw it. 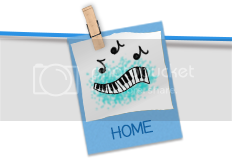 *Use cartoon frames to recall the sequence of a story. *Use cartoon frames for the life cycle of a butterfly, the water cycle, plant growth, and so forth. *Let them draw a picture of you and make a bubble with something you frequently say coming out of your mouth. You might be surprised!!!! Here's a link so you can download the blank cartoon frames? A Mother's Day tea, a song, a handmade gift, or a card will all be appreciated on May 10th by someone special in a child's life. Were in my box, then she would always know. It’s full of love for you. And know I’m thinking of you. You can collect small boxes that jewelry come in or use matchboxes for this project. Spray paint the boxes and then let the children decorate them with stickers, glitter pens, etc. Glue a small picture of the child inside the box. Punch a hole and attach a ribbon so it can be worn around the neck. Teach children the song and let them present their necklaces at a Mother’s Day tea, or send the boxes home with the words to the song. 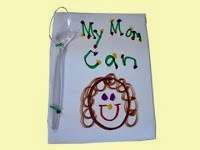 Let each child make a predictable book about all the things their mom can do. These are adorable hats from paper plates that children can make for their mothers. Cut the inner section out of the plate. Decorate the outer rim with markers. Cut 4” squares out of tissue paper and wad up and glue on the rim to look like flowers. Punch a hole in each side and tie on a 16” piece of string or ribbon. Place the hat on your head and tie under the chin. 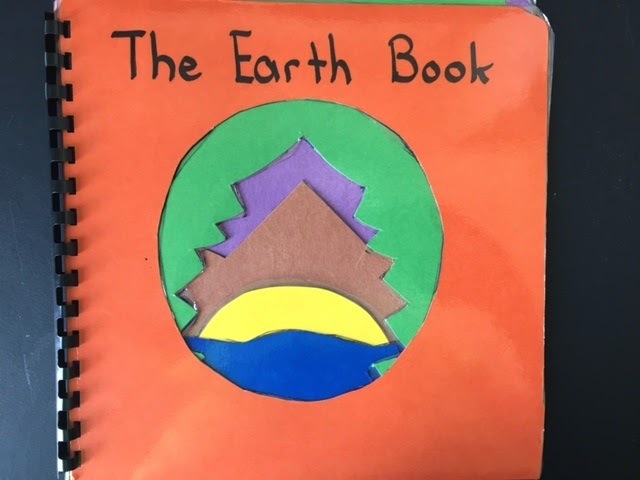 “The Earth Book” will take a little time to construct, but I guarantee you the children will be thrilled to read it and share it when you are finished. I would stretch this out over 2 or 3 days so the children don’t get frustrated. *You can also easily adapt this book to informative writing, science, and other skills. Directions: Cut squares using the attached pattern out of the orange and purple construction paper. Cut a circle out of one of the orange squares. 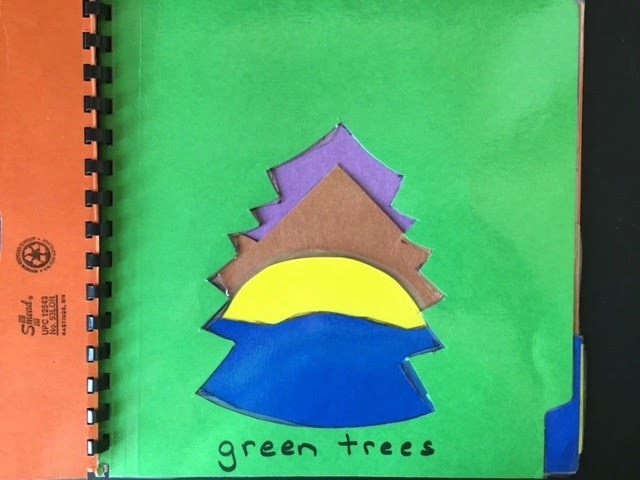 Using the patterns cut the green tree, blue water, yellow sun, and brown mountains. To construct the book place down the orange square for the back of the book. 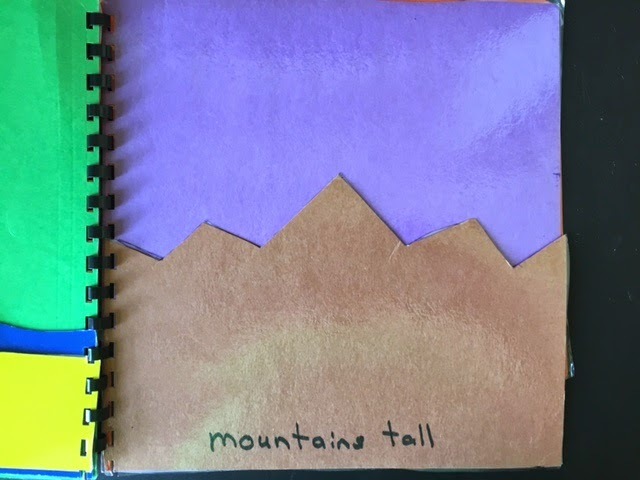 Place the “purple sky” on top of this, then the “brown mountains,” “yellow sun,” “blue water,” “green tree,” and finally the front cover with the circle cut out. Staple on the left side. 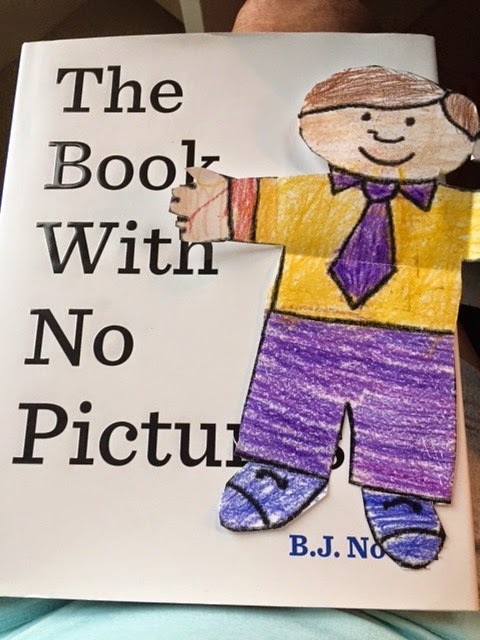 Younger children can read this as a wordless book. 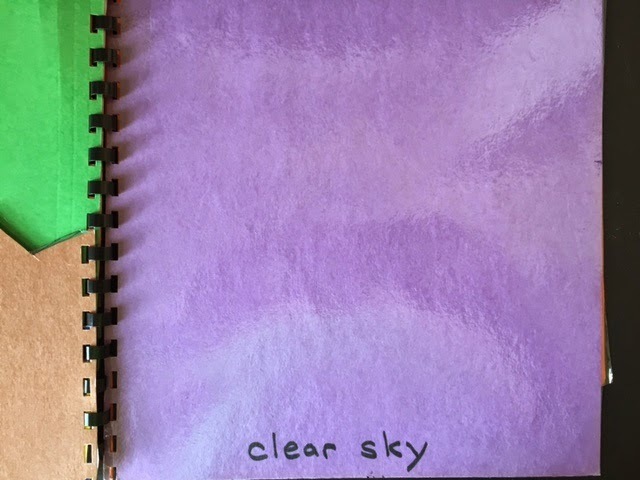 Older children can write descriptive sentences on each page. April certainly brought "showers" to us this year! Can't wait to see all those May flowers! Make “rain” as a transition activity to quiet children. Hold up one palm and tap with one finger from the other hand. Next, slowly add another finger and tape with two, then three, four, and five. (At this point you can also stomp your feet to make thunder.) Reverse the process by tapping with five fingers, then four, three, two, one. Quietly place your hands in your lap. It will really sound like a rain storm is coming and then going away. Fill a large glass jar with very hot water. Set a pie pan full of ice cubes on top of the mouth of the jar and observe what happens. Encourage students to draw observations. Many of my students played T-ball this time of year and were motivated to play “baseball” games in the classroom. You can make these games as competitive as you like. 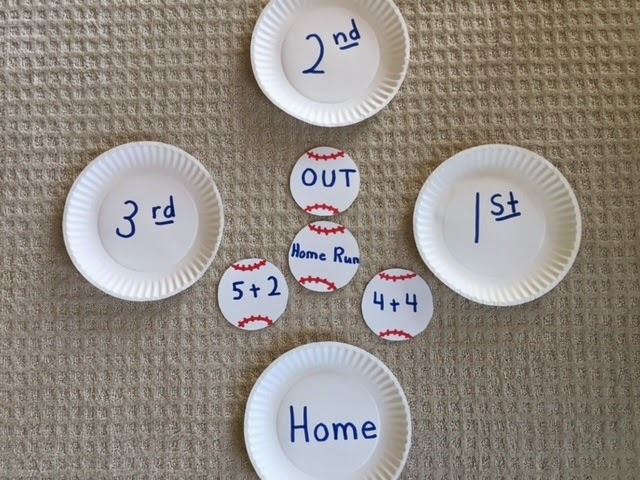 Write “1st,” “2nd,” “3rd,” and “Home” on paper plates. Place the plates in a diamond shape on the floor. Divide the class into two teams. Let them “huddle” and come up with a team name. The first team lines up and one player at a time stands on “home” as the teacher “pitches” a flash card to them. (Flashcards with words, letters, math facts, etc. can be used.) If the student can identify the information on the flash card they can walk to first base. The game continues as different players on the team come up, identify the flash card, and move around the bases. Tally points on the board. The second team then has a turn at bat. Note! If they don’t know the answer you can call them out. I did this when I taught first grade, but with kindergarten I let the other players on the team help them. The great thing about being the teacher is that you are the baseball commissioner and you can change the rules to work for you!!! Cut 4” circles out of cardstock and draw baseball stitching on them. Write words, letters, math facts, etc. on most of the baseballs. On a few write “out” and on a few write “home run.” Mix up the balls and place them in a bag. Children take turns choosing a ball and reading the word. If they select “out” they are out of the game. If they select “home run” everybody cheers. 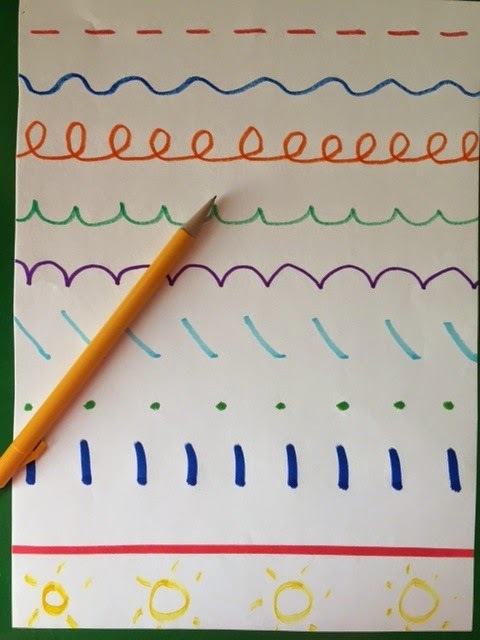 Go from large to small as you practice air writing letters, numerals, shapes, etc. Stick out one arm and write with your finger. Hold your shoulder with the opposite hand as you write with one finger. Hold your elbow and write. Hold your wrist and write. 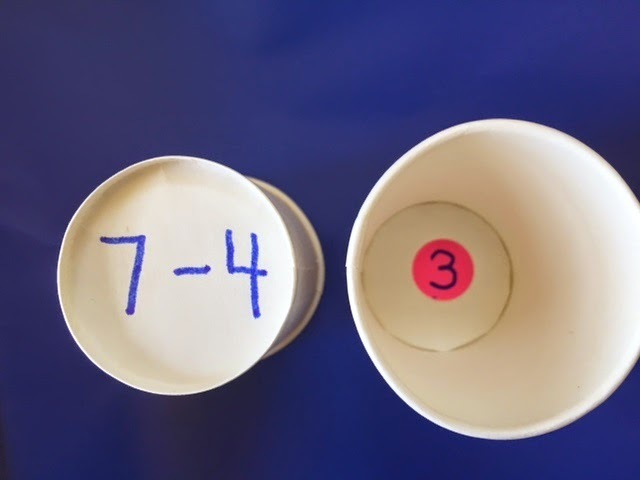 Write addition and subtraction problems on the top of a plastic cup. Write the answer on the inside on a dot sticker. If the student gets the answer correct they get to use the cup to build a tower. *Use cups for spelling words to read and spell. *Use for greater than and less than. (One cup has a greater than sign, less than, and equal sign. The other cups have numbers.) The student picks out 2 cups and places the correct sign between the numbers. In 1 – 2 – 3! Say, “You’re on a roll!” as you roll your arms back and forth. Turn off the lights and flash up words for children to read. Insert a few pictures of chickens and a few of cowboys. When the chicken comes up children flap their arms and cluck. When the cowboy appears they stand up and say “yee haw”! Record the time as the kids get faster and faster. Check out this video to see how Erica uses sign language to dismiss tables to line up. That’s the Tennessee cheer I learned last week when I was in Murfreesboro. The teachers also taught me some other cool things. 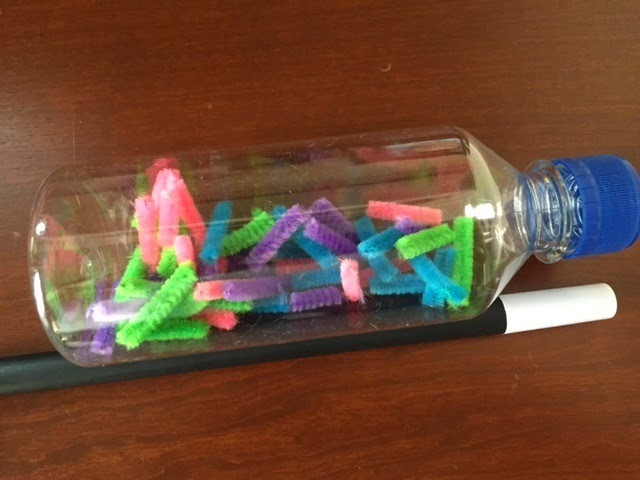 Cut pieces of pipe cleaners and put them in an empty plastic bottle. Use magnets to drag the pieces around. *Use a magnetic wand with cut up pieces of pipe cleaners. Draw a face on the wand and you’ll have a silly willy. Students can give a “silent signal” while the teacher is teaching. The teacher can signal back without stopping the lesson and shouting out. Set up a CLOSED Facebook page where parents can check out pictures of activities, newsletters, announcements, links to research, skills, and so forth. Check out this video where Erica uses sign language to encourage her students to make a straight line. Yesterday was Kindergarten Day. How did I miss that one? We’ll just do a “Belated Kindergarten Day” today. Froebel started the first kindergarten in Germany in 1837, and his birthday was April 21. Kindergarten originated to help children adapt to learning and social interactions in a fun way. Froebel believed in self-directed play, singing, dancing, blocks…a “garden” where children could grow! He’d probably roll over in his grave now if he saw what was going on!! 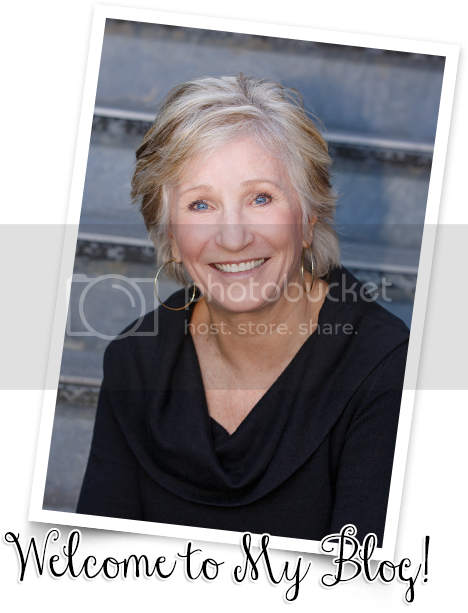 As I write this I am remembering my kindergarten teacher Mrs. Myers. I LOVED her! I mean I worshipped her! She was a fairy godmother and the center of my world. She seemed ancient to me at the time, but I’m probably way older now than she was when she taught me. Thank goodness for hair dye and make up!!! Another memory I have is learning to tie my shoes. 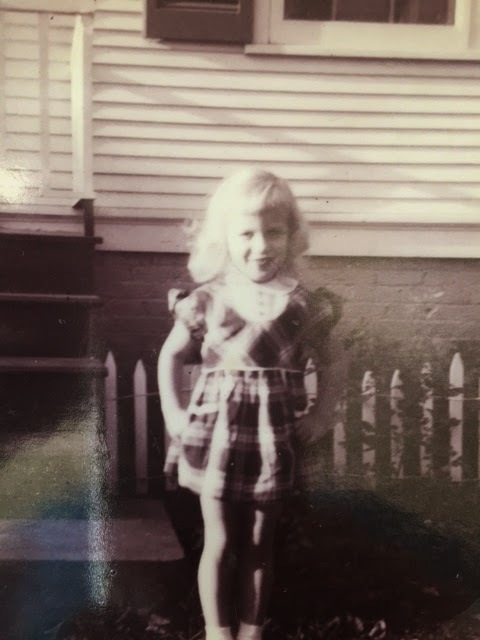 I wore corrective saddle oxfords I feared would come untied at school and then what would I do? Everyone would know that I couldn’t tie shoes!!! Well, one day they came untied and Mrs. Myers said, “You’re a smart girl. Now, you just sit down and figure it out.” And you know what? I did!!!! She knew when to coddle and when to push. And incredible as it may seem, although all I did was PLAY in kindergarten I can actually read and write!! Note! Although I’m focusing on “kindergarten” today, this message holds for all early childhood teachers from preschool through first grade. What’s the point of kindergarten? Then what’s the point of being a kindergarten teacher? But we know that five is a magical time, and children only have one chance in a lifetime to be five. SHUT YOUR DOOR and hold hands, sing, dance, paint, tell stories, make believe, play outside, and continue to give children happy memories! And only you can do that because YOU are a kindergarten teacher and YOU are SPECIAL and AMAZING just like the children you teach! Illustrations – After listening to a poem, have children close their eyes and make a picture of it in their heads. Then let them draw that picture on paper with crayons, markers, or colored pencils. *Let children illustrate poems with water colors, chalk, or other media. 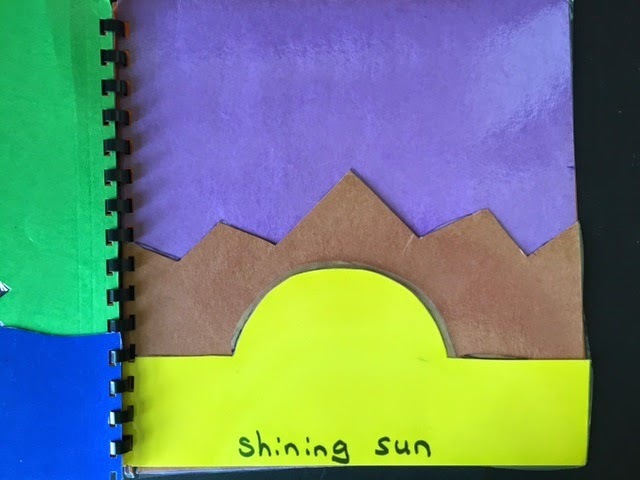 Collage – Let children choose a favorite poem and make a collage with magazine pictures, photographs, natural objects, or art media. 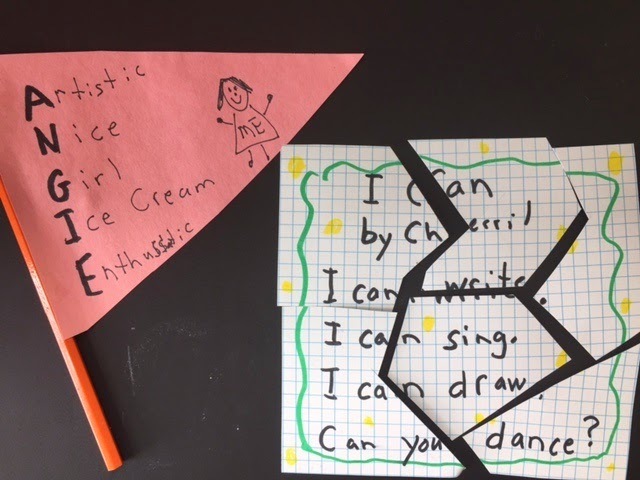 Pennants and Banners– Cut pennant and banner shapes out of construction paper and let children write or illustrate poems on them. Puzzle Poems– Cut cardboard or tag board into 12” squares. Let children write original poems or copy poems on the cardboard. Then give them makers and crayons to illustrate their poems. Finally, have them cut the square into puzzle shapes. Store in a zip bag. Let children exchange puzzles and put them together and read. 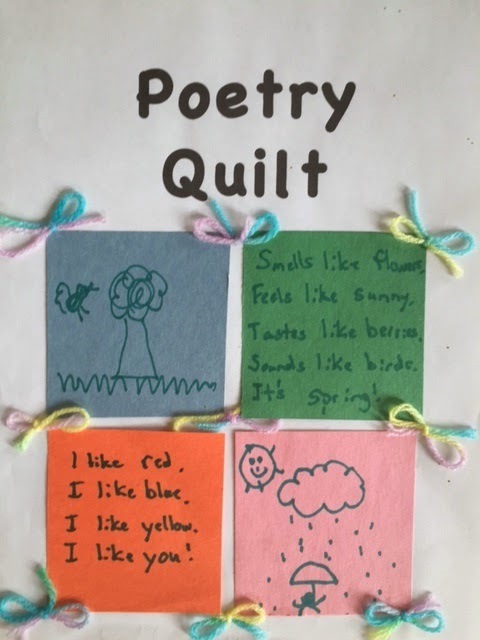 Poetry Quilt - Give each child a square and let them write an original poem or rhyme on the square. Let them decorate a frame around their poem with crayons. Glue the children’s squares to a large sheet of bulletin board paper. Be sure to leave at least an Inch between the squares. Take 12” pieces of yarn and tie them in bows. Glue the bows between the squares so it will look like a quilt. 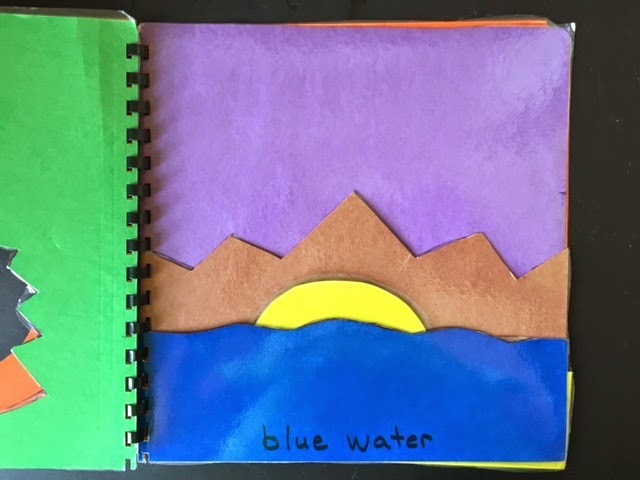 Puppets, Sculptures, and Bookmarks – Let children use a “scrap box” or “junk box” to create other “artful” objects for poems. WE'RE POETS AND WE KNOW IT! Ask the children, “What do poets do?” As they respond comment, “You know, we can do that, too. We can all write poems and be poets!! !” Here are some simple activities to start your students on the road to writing poetry. An acrostic is an easy way to begin writing poetry. Model how to do this on the board by writing a word vertically. Have children to think of a word that begins with each letter. Read over what you have written, and you have a poem. Name Acrostic – Children think of a word that describes them for each letter in their name. Holiday or Season- Write the holiday or season and then add an adjective that begins with each letter. challenge children to write a word that begins with each letter. *Use similes for blank poems. For example, children could fill in the line to “Hungry as a _____. Quiet as a______. Sleepy as a ______. Mad as a _______. Good as _______. Sweet as ______.” And so on. Give children predictable sentences similar to the ones below. All children have to do is fill in a missing word, and they’ll have a poem. Hint! They can use words that rhyme, nonsense words, or words that don’t rhyme. *I know….I wish….My mom is…Dogs can….Spring is….Green is…. And so forth! like…It tastes like… It smells like…It feels like…It’s a …. Cut a pocket off an old pair of pants and staple it to a bulletin board. 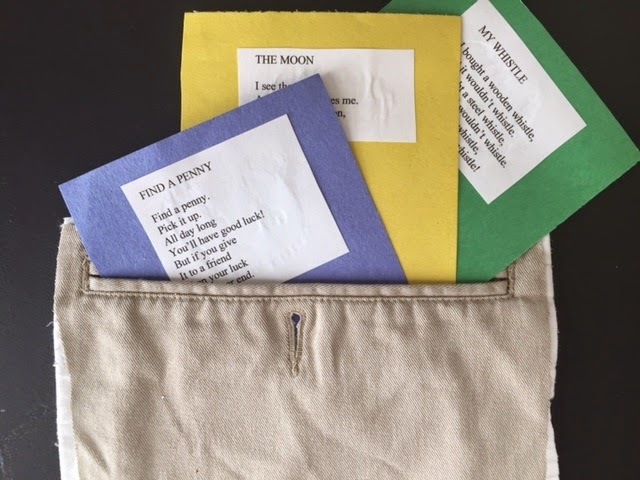 Store favorite poems in the pocket so the children can read them over and over. Take a look at some other ways you can reinforce reading skills with poetry. These activities are much more multi-sensory and engaging than a worksheet or computer program!!! Syllables – After reading a poem with your students, read it again clapping the number of syllables in each word. You could also snap, stomp, hop or make other movements for the syllables. Rhyming Words – Following a reading, mention that you heard words that sounded alike at the end. Repeat two of the words that rhyme. Let’s read the poem again and see if you can listen for other words that rhyme. As children find words that rhyme, highlight them on the poem with highlighting markers or tape. Write sets of words that rhyme on the board. Underline the letters that are the same. Have children think of other words that have the same sound at the end. Write the rhyming words on the board as the children call them out. Alliteration – Read poems that have strong alliteration. Ask children to identify words with the same beginning sound. Highlight the words in the poem or list them on the board. Can children add other words to the list that begin with the same sound? Decoding Skills – As you come to unknown words in poems, stop and model how to sound them out by blending the sounds. Predicting – Before reading a poem, encourage the children to look at the title or illustrations and predict what the poem might be about. High Frequency Words – Highlight word wall words that are in poems. Pass out flash cards with words and challenge children to match them with words in the poem. Parts of Speech – Ask children to identify verbs, nouns, and other parts of speech in poetry. Comprehension – After reading a poem, ask appropriate questions that will develop comprehension skills. Is there a main character? What was the setting? When did the poem take place? What happened at the beginning? Middle? End? Was there a problem or resolution? What will happen next? What was the main idea? 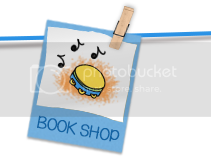 Genres of Literature – Help children recognize different types of literature through poetry. Could the poem really happen or is it pretend? Poems and books that are pretend are called “fiction” and those that are real are called “non-fiction.” Is the poem humorous or serious? Does it tell a story (epic) or is it just a rhyme? Being able to visualize what is happening in a story, poem, or text is a strategy for improving comprehension. Have children close their eyes as you read different poems to them. Encourage the children to make a picture in their brains to go along with what they hear. After listening to the poem, encourage the children to discuss the pictures that they made in their heads. Is a very special thing. In your bowl to eat! With you in your heart. 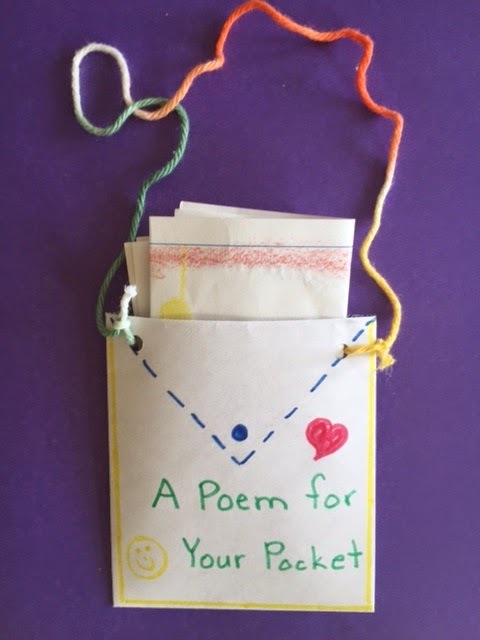 Let children make a pocket and keep their favorite poem in it. Encourage them to exchange poems with classmates and read to each other. Hint! To make a poetry pocket seal an envelope, cut it in half, punch holes and tie on a string. 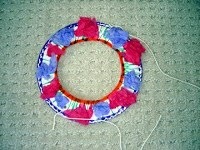 Children can decorate these and then wear them around their neck. Choose a poem and read it to your class at the beginning of each day. You can read it and “let it be.” Or, you could use the poem to introduce vocabulary or to spark a discussion. *Assign each child a different day to be responsible for bringing in the poem. This would be a good activity for children to do with their parents. Write “Poetry Club” on the poster board and decorate with glitter and glue. Explain that anyone who stands up in front of the class and recites a nursery rhyme or poem can be a member of the poetry club. (You might want to model reciting a poem for them.) After they’ve recited their poem, let them sign their name on the poster. *Design a membership card for the poetry club and run off on cardstock. Present one to the children after they’ve recited a poem. 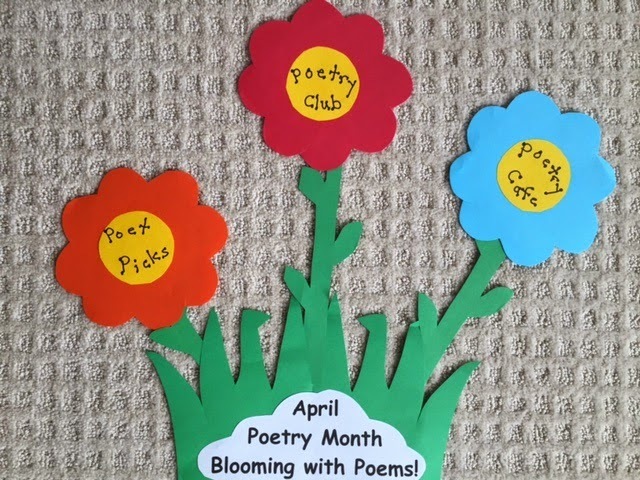 Plan a poetry party for your students called the “Poetry Café.” Involve children in planning refreshments, making decorations, writing invitations, etc. Encourage each child to learn and practice reciting a poem. Explain that in the coffee houses instead of clapping, the audience would “snap” their fingers for the poets. You give them a gift that will last for all time! It’s true! We keep songs and poems that we learn when we are young in our hearts and minds all of our lives. Some of the first words we heard were lullabies and lap rhymes that our parents said to us as infants. April is National Poetry Month, so over the next few days I’ll explore ways you can integrate poetry with standards. 1. Poetry develops oral language. 2. Poetry develops auditory memory. 3. Poetry helps children make print connections. 4. Poetry develops phonological awareness (rhyme, rhythm, alliteration). 7. Poetry sparks children’s interest in reading. 8. Poetry helps children fall in love with language. Although we teach in an educational system that is skill-based, it is O.K. to include something in your curriculum just because it brings you JOY! Say them, read them, sing them, chant them, clap them, snap them, but above all, ENJOY them! It’s April 16th and it’s National High Five Day! Start the day by greeting each other with a high five. 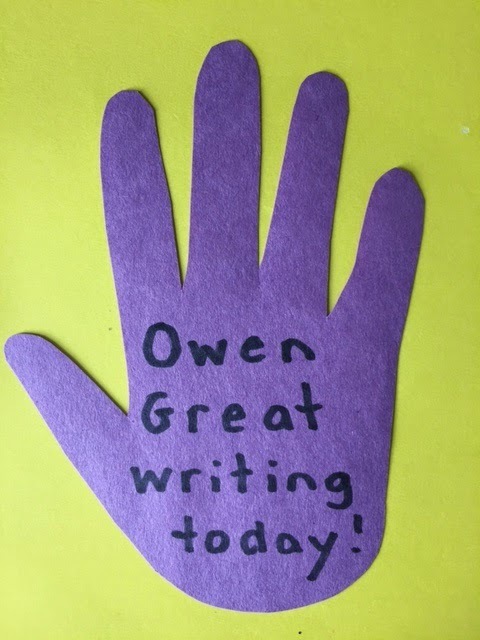 Teach children how to give themselves a “high five” for a job well done. Hold up both palms facing each other in front of your chest. Pretend to wave with one hand. “Hi 5!” Get it? 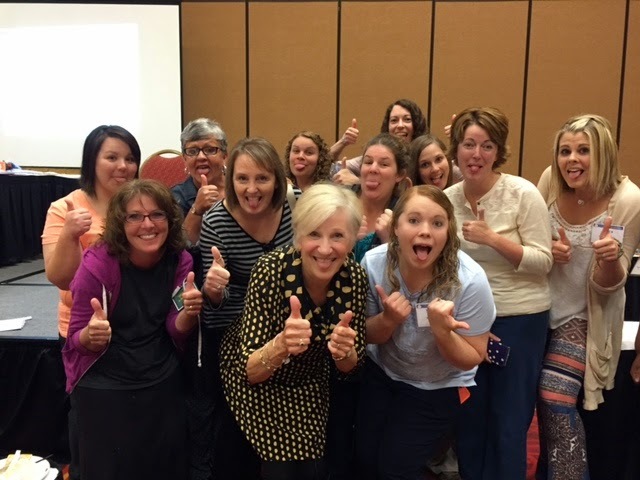 Oh, how I loved the teachers in El Paso that I met last week at their Great Beginnings Conference! 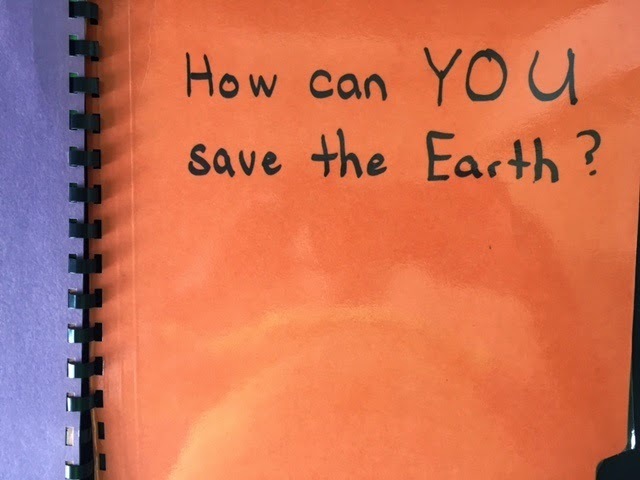 Martha Tavarez, a kindergarten teacher at Barron Elementary, told me about a book that she made with her class called “How to Cheer Up a Friend.” She sent the book to Scholastic and she’s a finalist for the prize given for the best book created by children for children. Good luck!!! Good readers are always looking for information and trying to make connections. Talking, writing, dramatizations, and art are just a few of the ways children can demonstrate what they have read (or heard as young learners). 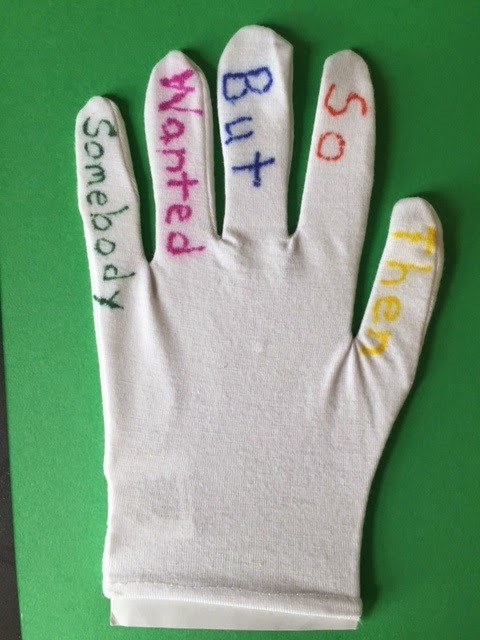 *Write story elements on the fingers of a cloth glove and use them to recall details. In addition to "who, what, where, when, why" you could write "somebody" "wanted" "but" "so" "then." You could also write "title" "author" "beginning" "middle" "end." You will need large craft sticks and a sock for this project. Write a different story element (characters, setting, problem, resolution, etc.) on each stick with a marker. 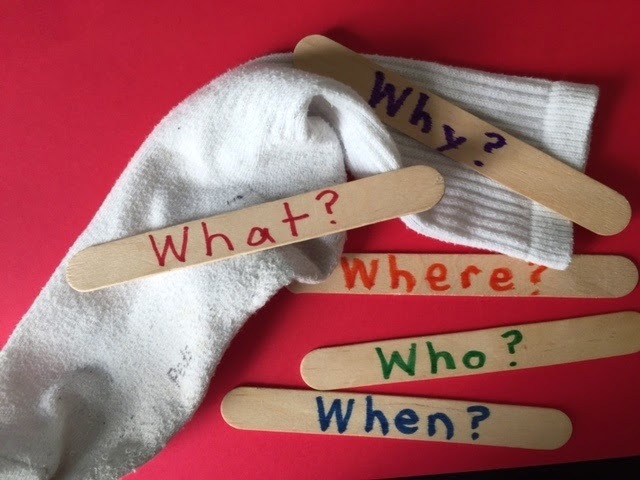 Place the sticks in the sock and throw the sock over your shoulder before you begin to read. It will be a reminder to your class to focus on those things. After reading the story, let different students choose a stick and tell that part of the story. *Write story elements on index cards and put them in a sack. 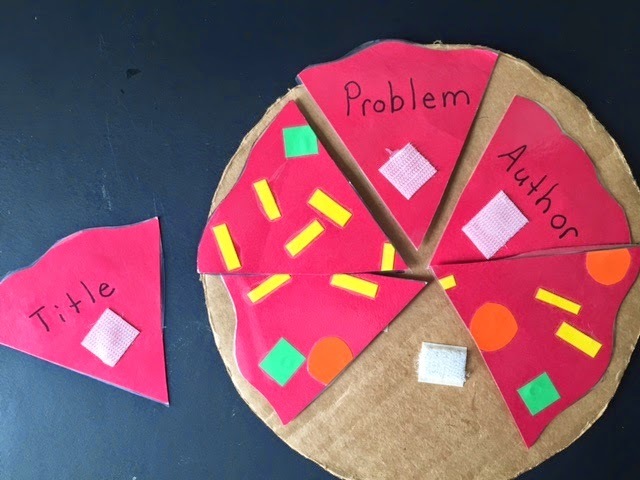 Make a pizza out of cardboard and felt. Write story elements under slices. Children pick a slice and tell about it. Before there was an alphabet people recorded events with drawings and symbols. Thousands of years later we have embraced pictographs – aka emoji. Emoji originated in Japan and literally means “picture” + “character.” Each character has a specific name and meaning. Many of the symbols are specific to Japanese culture and many are not appropriate for children. There was an interesting article in the New York Times 4/6/2015 by Tess Felder titled “The Way We Write Today!? !” Although the author states that many people think we are losing the art of writing and spelling because of “digital laziness,” she suggests that people are just sending messages in ever-changing ways. Emojis are an example of a way to express our emotions. Think of it as a new vocabulary to explore in your classroom. Children are always interested in the adult world and many of them may already be familiar with emoji from playing with their parents’ phones and other devices. 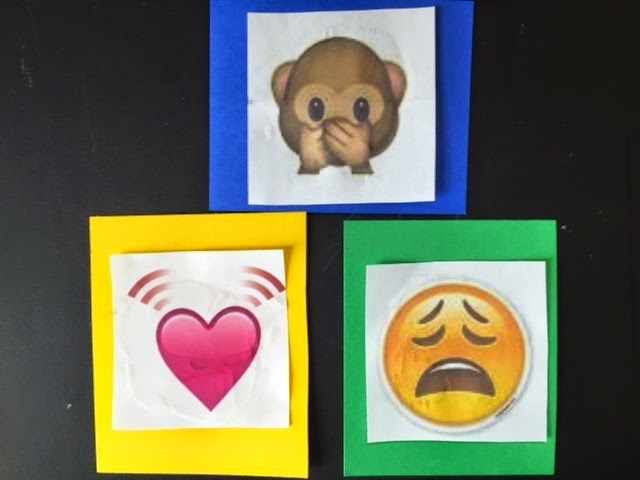 Show children some of the emoji symbols and encourage them to tell you what they already know about them. Why do people use the symbols? 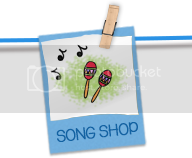 Download some of the most popular symbols and let children brainstorm what they mean. Here are two sites that I found helpful for decoding the meanings of the symbols. If you want a specific symbol try typing “emoji with heart eyes” or whatever you are looking for in your search engine. *Run off several beating hearts and pass them to children who are being kind friends. *Make a flashcard game with words, math facts, letters, etc. Add a few “upset emojis” (children pretend to cry) and “heart eyes” (children hug themselves). 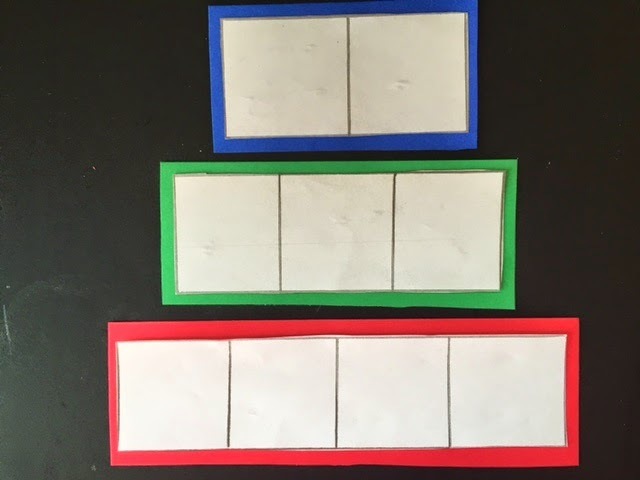 *Make worksheets or games where children match symbols with the written word. *Let children create their own symbols or write stories or sentences with the symbols. Funny thing, it just dawned on me that emoji are very similar to rebus pictograms that we used years ago when teaching children to read. Life is a revolving door for sure!!! I’m off today for Murfreesboro, TN, and then Dover for the Delaware AEYC Conference, but I’ve got blogs ready for you each day. I hope your week is not only half full, but overflowing!!! Isn’t this the cutest thing you’ve ever seen? 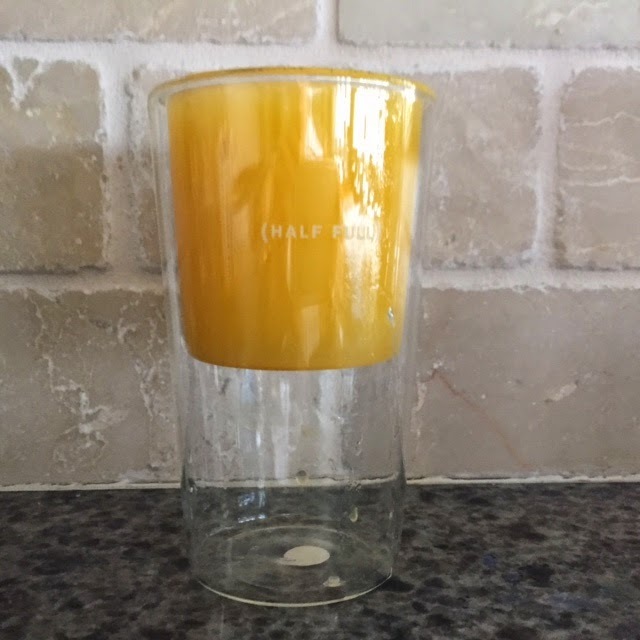 My friend Janice Vincci sent it to me and it’s a reminder to all of us that the glass is always more than half full! Several weeks ago I shared an idea that Lorraine Clark gave me called “My Messy House.” I made the game for Kalina when she visited and she LOVED it! She wanted to play it over and over again, and I knew it would be a “winner” with other kids and other skills. 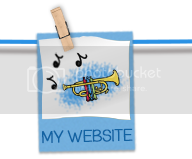 Thanks to my friend Carolyn Kisloski, I’ve now mastered the “art” of attaching a pdf to my blog. Well, kiss my brain! Now it will be easier for you to take these activities and implement them in your classroom. Directions: Cut clothes out of paper using the attached pattern. Write skills on the clothes and place them on the floor. Tie a string between two chairs to make your clothesline. Children choose a piece of clothing, identify the information, and then hang it up on the clothesline. Letters – Write letters on clothes and children can hang them up as they say the letter and make the sound. 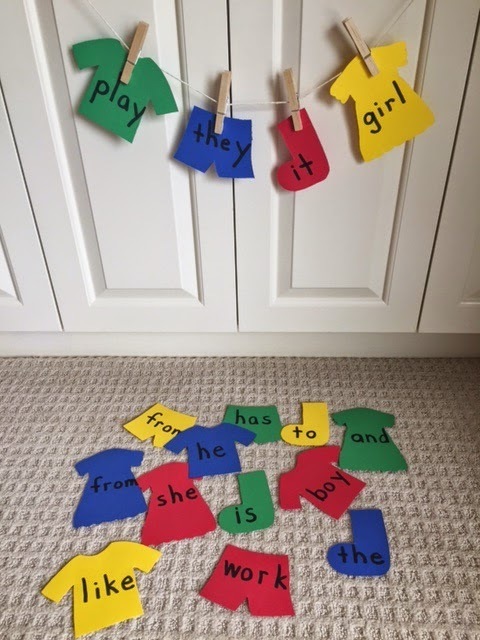 *Write uppercase letters and lowercase letters on clothes and children can match them and hang them up. *Hang letters in alphabetical order. 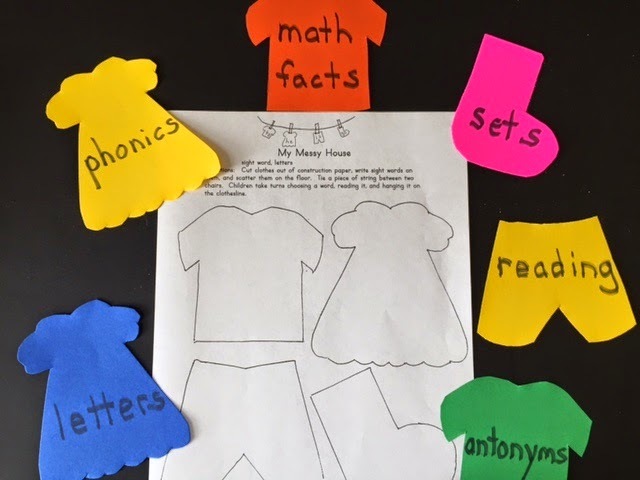 *Write math facts on some clothes and numerals on others for children to match and hang up. Words – Children can hang up words they can read. Can they make a sentence with their word? *Hang up words in order to make a sentence. *Write antonyms or synonyms on words for children to match. You’ll have a CLEAN HOUSE for sure with these games! P.S. If you've still got plastic eggs you don't know what to do with, here's an idea Ms. Setzer sent me. She sends home an empty egg with each student along with a note asking them to find something to put in the egg and write three clues about it. They share their clues at school the next day as classmates try to guess what it is. Hint! Parents could write clues for younger children and older students could write their own clues. Great reading, writing, speaking, and listening activity!!! Who’s ready for some summer fun? WOW! You can visit Orlando, Charleston, Indianapolis, Detroit, or Austin and learn at the same time. That’s what I call a win/win!!! Pack your bags and I'll see you this summer!! Okeedookee! 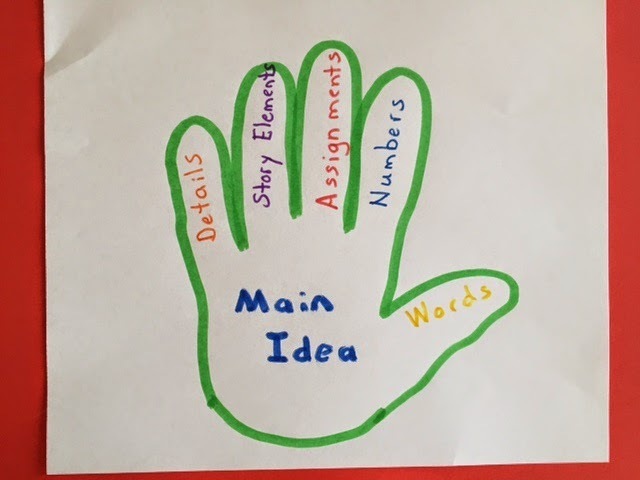 This is the last day I'm going to talk about graphic organizers, but I hope you've gleaned a few ways to use them to put "pictures" in your students' brains and to use them instead of a worksheet. 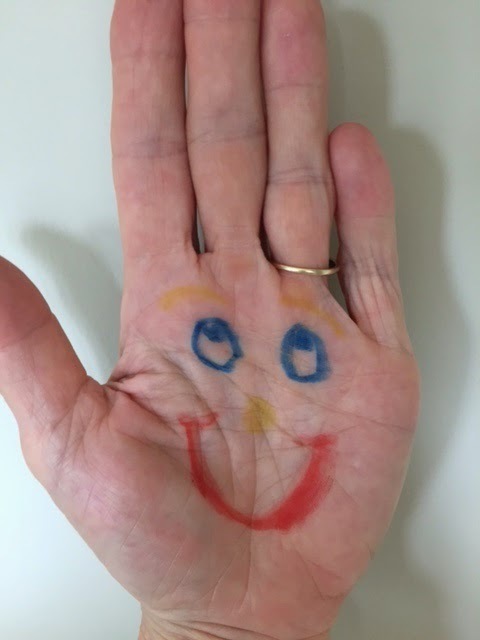 What child doesn't like to have you trace around their hand? But did you realize that children's hands could also be used as learning tools? Children trace around their hand. They put the main idea of the story on the hand with supporting details on the fingers. 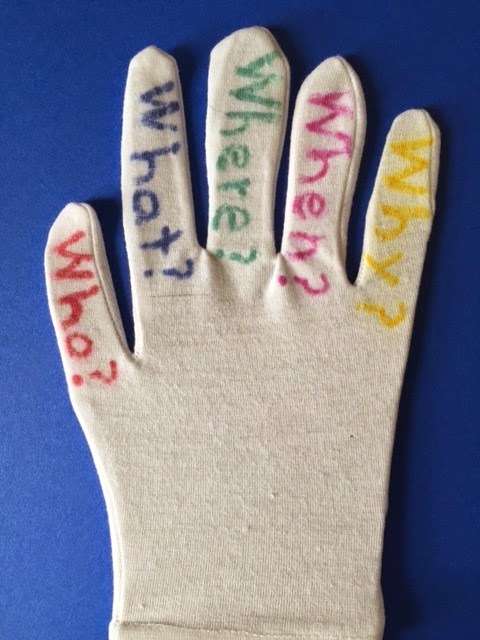 Children write the title of the story on the hand with “Who?” “What?” “Where?” “When?” “Why?” on the fingers. 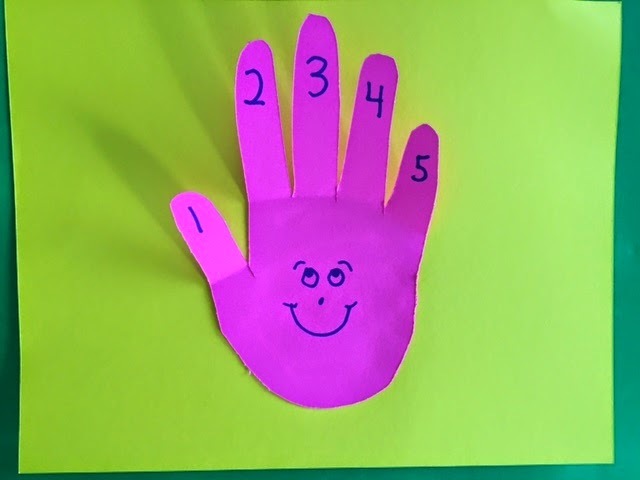 Children write a number on the palm and things that equal that amount on the fingers. 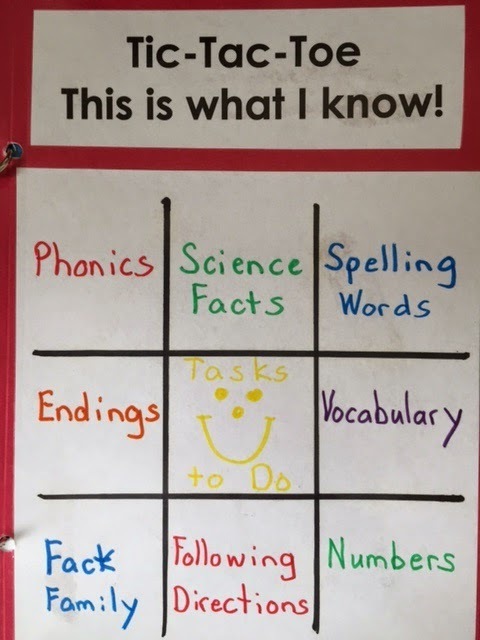 Children write their name in the middle and 5 tasks they need to complete that day. 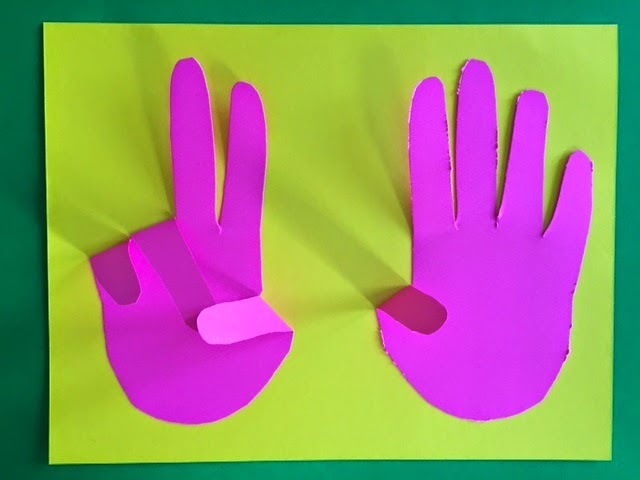 Trace around children’s hands on cardstock and cut out. Glue the palm to another sheet of paper so the fingers can bend up and down as shown. *Let younger children use five fingers to count or do finger plays. *Older children can use two hands for addition and subtraction. *Do you know how to multiply by nine using fingers? The fingers on the right will represent tens and the ones on the right will represent ones. Did you know that John Venn conceived the Venn diagram around 1880 to teach elementary set theory? The Venn remains a useful tool to compare and contrast in our classrooms today. Children can compare and contrast themselves with a friend. How are they different and how are they alike? Children can demonstrate primary and secondary colors with Venns. 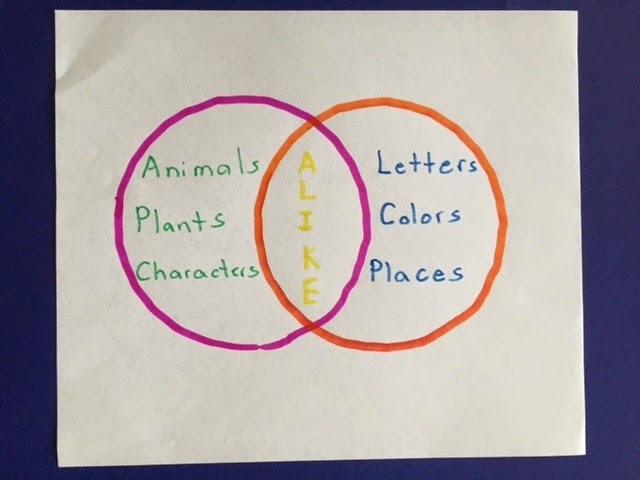 How about comparing books or characters with a Venn? Animals (frogs and toads), plants (palm tree and cactus), or foods (apples and oranges) can be explored with Venns. Letters (curves, lines, lines and curves) can even be sorted with a Venn diagram. 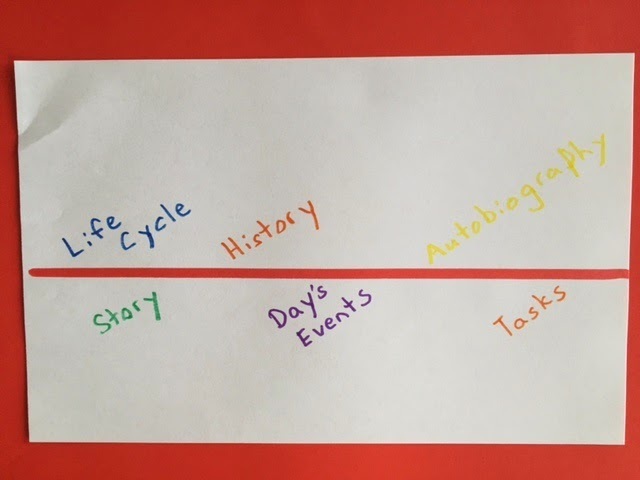 Time Lines are a visual way for children to recall the sequence in a story. Time lines can be used to illustrate the life cycle of plants and animals. Children can record the day’s events with a time line or use a time line to organize tasks that they must accomplish at school. Time lines can also be used for history lessons or as an autobiography. Hint for Pre-K teachers! Model using these graphic organizers with your students. It will increase their print awareness and be useful (prior knowledge) when used in future grades. Have you ever wished that you had a different name? Well, according to holidayinsights.com tomorrow, April 9th, is the day we can all change our names. And, wouldn’t your kids get a kick out of changing their first name for the day? Tell them about it today so they’ll have time to make their decision. (They’ll probably sort through dozens of names before choosing one.) Start tomorrow morning by having each student tell their classmates their new name and explain why they chose it. Sing this good morning song to the tune of “Good Night, Ladies” using their new name. We’re glad you’re in our room. 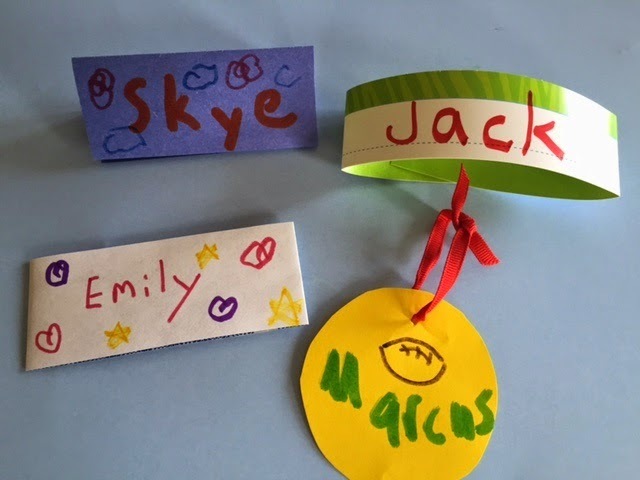 Let them make nametags, necklaces, bracelets, or crowns with their new name. Their new name could also be the catalyst for a story about an adventure they might have. And you should probably change your name tomorrow as well. How about Queen ___ or King ____? Let’s explore how to use another popular graphic organizer today. You could model using webs for large group instruction, assign them for independent work, or use them for partner or small group projects. 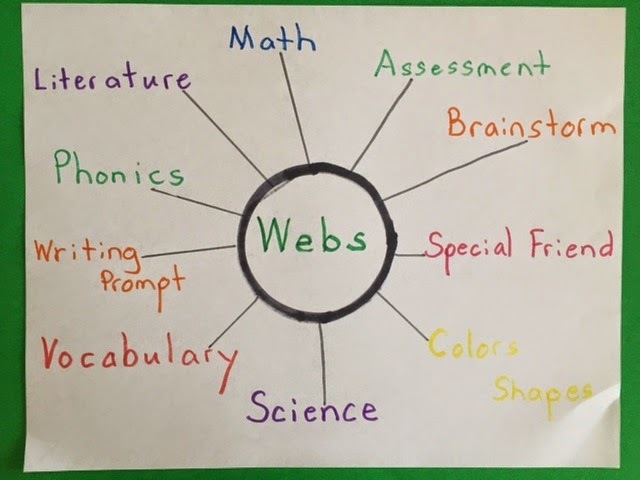 Webs can be done on any topic from science to literature, phonics, math, special friends – you name it! 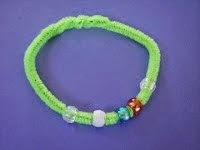 Webs can be done as a traditional bubble with lines coming off, or you can make webs that reflect your theme. For example: a spider shape, flower, tree, etc. Webs are open-ended and encourage creativity and thinking outside the box. How can you use a web today instead of a worksheet??? 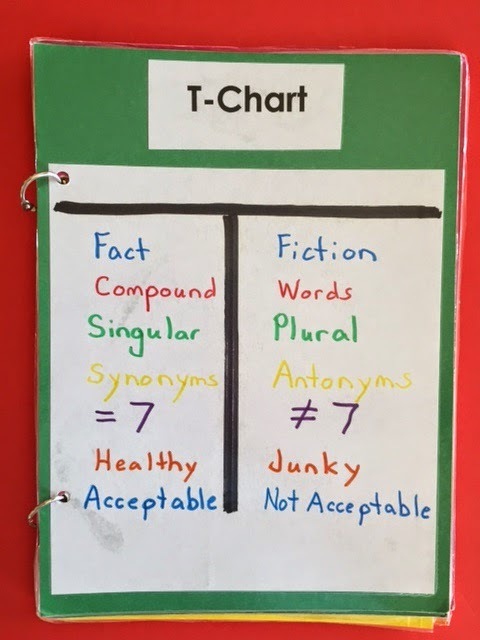 Graphic organizers are super simple and super challenging for any grade level or any content area. These visual graphics can help children organize, brainstorm, and problem-solve. They also enable children to classify and visually “see” how things fit together. Think of them as putting a picture in the brain. And, they are perfect for differentiated instruction! I was getting ready to throw away an empty tape dispenser when I remembered this idea. Write words (or letters or numbers or shapes) you are working on around the cardboard roll. 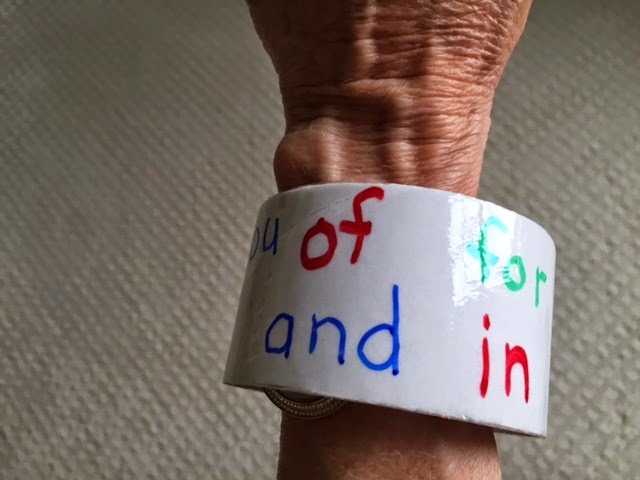 Children who can read all the words get to wear the bracelet for the day. (Yea, dumb I know, but I bet your kiddles might like it! LET'S PLANT SOME JELLY BEANS AND PENNIES!